In any case, you should study the pieces in the handbook as they provide you with a clear example of the standard of the piece you need to play at Grade Five level. The notation for the first part of one of the pieces from the RGT Grade Five handbook, ‘The Ten Penny Bit,’ is provided below. ‘The Ten Penny Bit’ is a traditional Celtic tune, and has been arranged here as a ‘flatpicking’ piece – designed to be played with a plectrum. 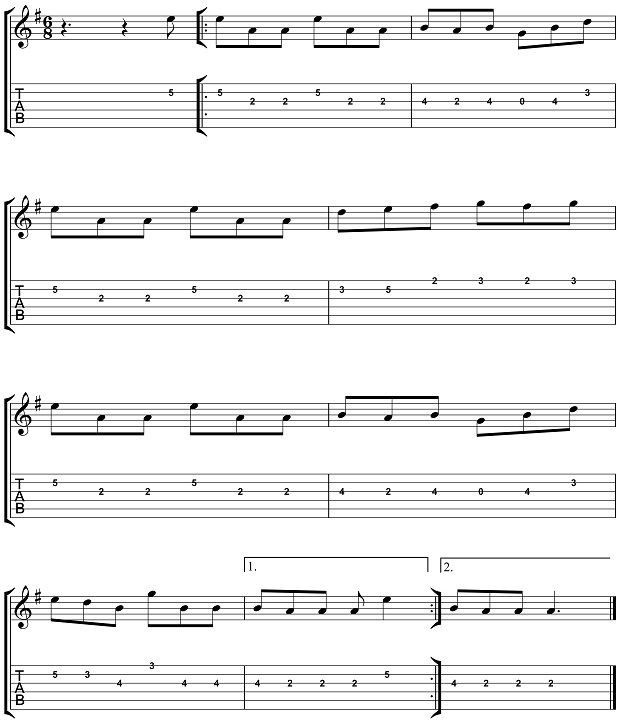 This arrangement uses a G major key signature, with the tune being based entirely on the A Dorian modal scale (i.e. a mode of G major). The piece needs to be played at quite a fast tempo in order capture the style, but don’t try and play it too quickly until you’re totally familiar with it or you’ll end up just ‘learning’ any mistakes you make if you rush it at first. 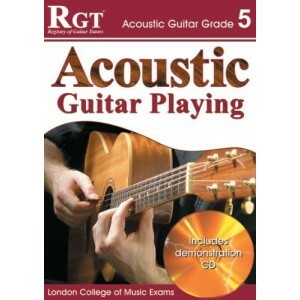 You can also click here to purchase the RGT Grade 5 Acoustic Guitar Exam Book, which contains the full score to ‘Ten Penny Bit,’ as well as all of the other musical requirements for this exam. 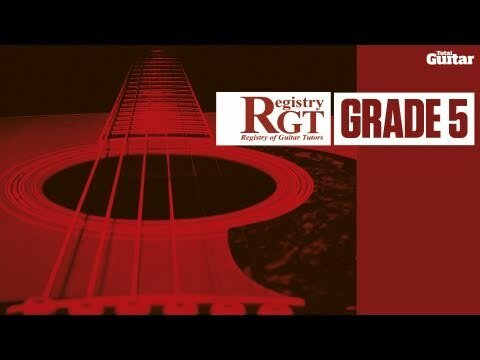 To find out more about the ‘Ten Penny Bit,’ and the RGT Acoustic Guitar Grade 5 Exam, please download the RGT Acoustic Guitar Exam Information Booklet. This entry was posted in Acoustic Guitar Video Lessons and tagged RGT Acoustic Guitar by Alan. Bookmark the permalink.